When heading to New York City the best way to explore the Big Apple is to take a bite out of it. What does this mean? It means leaving your hotel for a bit and exploring all that the city has to offer. 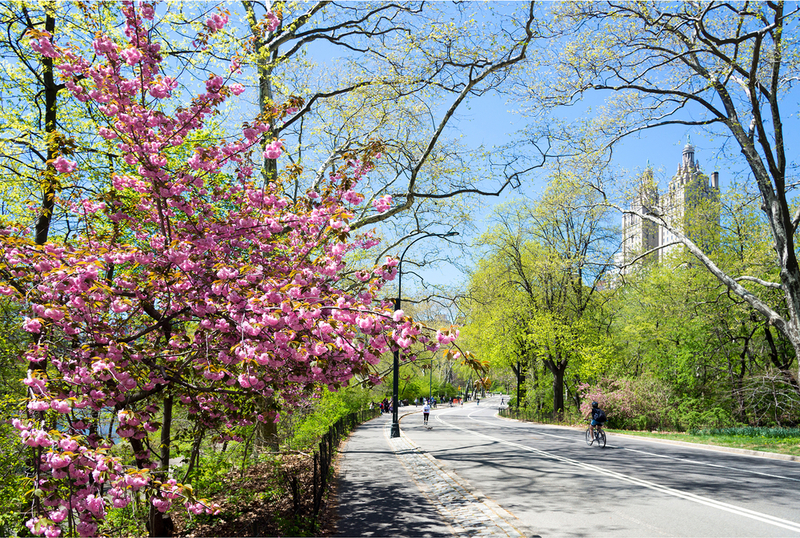 If you’re fortunate enough to venture into the city during these warm, exhilarating summer days then try getting out of the museums and seeing the great New York outdoors. Here are some of our favorite things to do in the city when the weather is pretty. The High Line is a grand example of New York ingenuity. 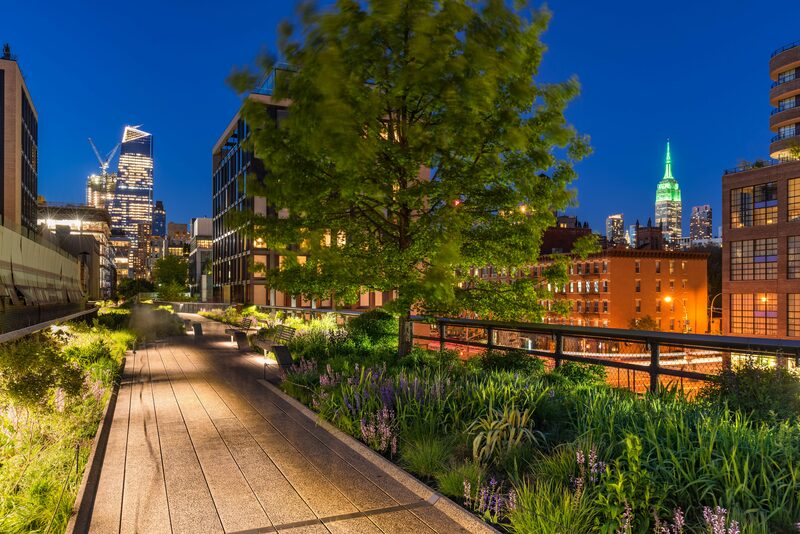 Formerly an abandoned freight rail line elevated above Manhattan’s West Side, the High Line is now one of NYC’s most popular parks offering scenic views that no other green space can provide. Now is the perfect time to visit as the flowers are in full bloom. Plan ahead to attend one of their garden tours or to see a concert overlooking Manhattan’s busy streets. Afterwards, visit Chelsea Market, an indoor marketplace renowned for its wide variety of eateries and shops. If you’re looking for something more extreme than this is for you. Bouldering enthusiasts have been heading to Central Park for decades to climb the park’s historic rocks. Popular spots include Cat Rock and Rat Rock. For beginners, head to Rat Rock which is known for local expert climbers providing advice and tips. This trip is probably best after spending the afternoon at Smorgasburg. Even if you aren’t looking to burn off a delicious meal, the views justify making the trip alone. 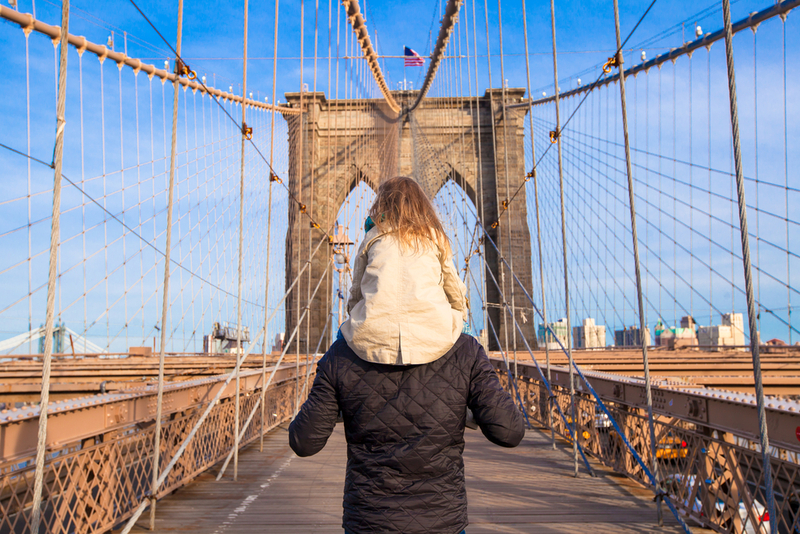 Now over 125 years old, this iconic structure provides great views of the East River and the Manhattan Skyline just remember to snap a few pics. After exploring the city, head back to the Fitzpatrick Hotel to enjoy a drink (or two) on the Patio. It’s the best way to cool down and relax after a long day out. And if a pint isn’t your thing we have a variety of delicious colorful cocktails for you to enjoy. The Fitzpatrick Hotel provides the perfect opening to explore the city and our comfortable rooms are the greatest way to prepare for another day of sightseeing.